1. 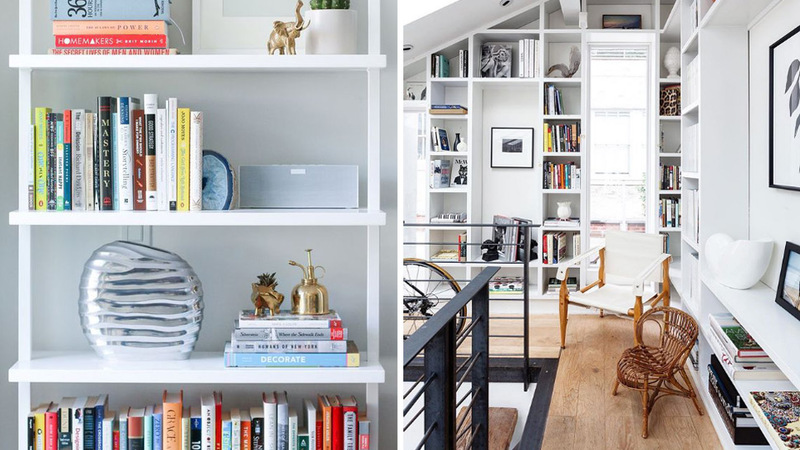 In a small space, a ladder shelf stands out. Don't let a limited floor space stop you from showcasing the books you love. A ladder shelf in white can help you save on space while allowing you to pick a few favorites you can put on display. Take your cue from the photo above by using plants and other accessories as decor, too. 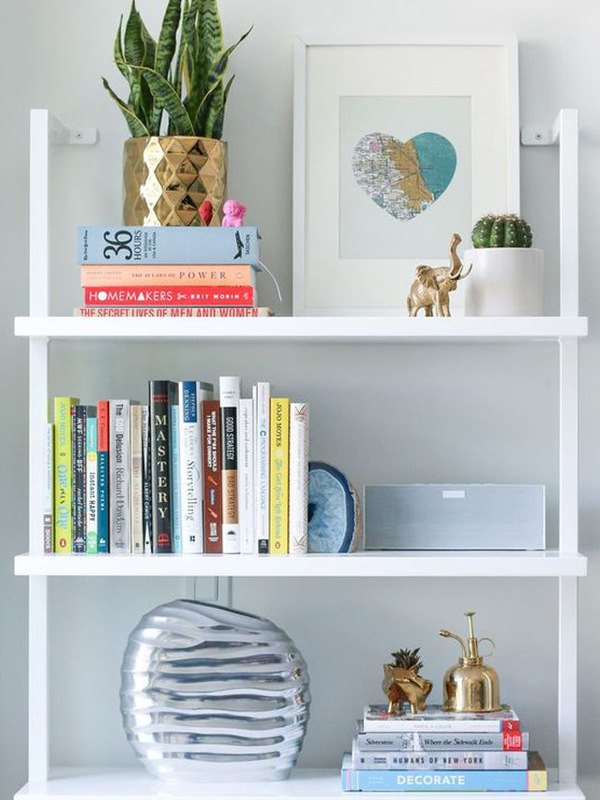 Keep the look from being overwhelming by stacking your books horizontally or using quirky bookends to keep them in place. 2. Work on a DIY shelf. Wooden crates are not only sturdy, they can add a special warmth to your space as well. Shop for a few crates and depending on the space you have, stack them up to create a shelf. Aside from books, you can also put some of your collections on display like potted plants, cameras, and other knickknacks. 3. Work on a uniformed spine. There are bookworms who painstakingly cover each book with plastic cover to keep it in good condition. Some take it to the next level by covering theirs with colored paper (depends on the look they want to achieve) to keep the shelf streamlined. Use the photo above as your peg, using bond paper, wrap your books carefully and arrange them on a shelf. White brings a sense of calm to any space. 4. Group your favorites together. Are you the type who reads different genres? Spruce up your shelf by grouping it according to genre—science fiction, horror, mystery, young adult, and the like. With your books having different sections, it will be easier to find what you're looking for and return it in its proper place. 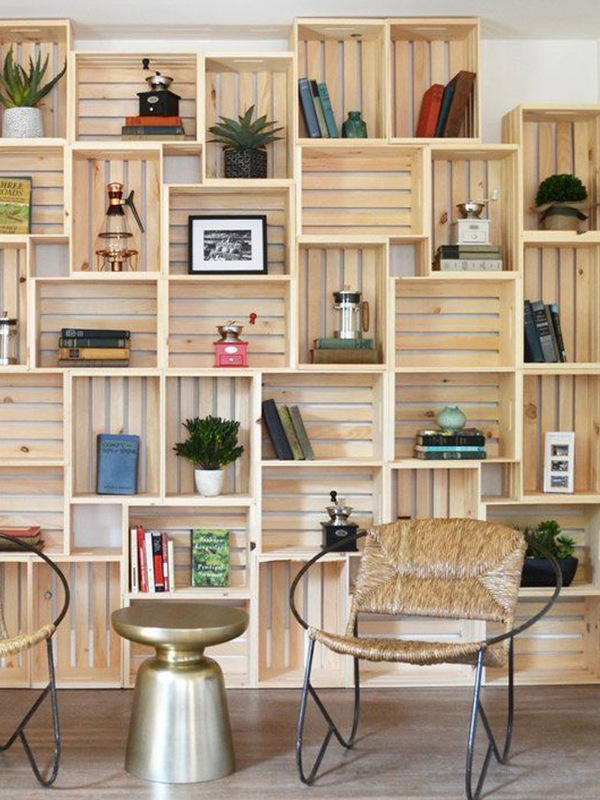 Wall-mounted shelves make for an interesting wall accent, too. If you're tired of the usual storage pieces, experiment with wooden ledges and wall-mounted items. See how you can arrange them in different ways to create a unique work of art on your wall. You can even have floating shelves on one side! 6. White is the best background. White shelves are extra pleasing to the eyes. If you have a white shelf at home, remember to dust it regularly to keep it pristine and pretty. 7. A compact reading nook can be inviting. It's important to declutter your shelves regularly so that you'll have space for new reads every now and then. Set a schedule and review the books you have. Are there copies you wish to donate? Are there stories you want to share with friends? Segregate your books and let go of titles that you wish to share with others. 8. Keep it cute and color-coordinated. Books come in colorful covers and creative spines. Use it to your advantage by personalizing your shelf and organizing your books per color. Make it extra fun by decorating it with character figurines from the books you love.